Sprint is one of the “big four” carriers in the United States – which means millions of users use their service to make calls, send messages back and forth, and browse the web. 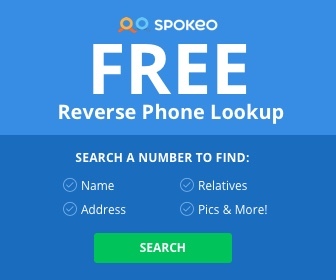 While the Sprint network does not have an official directory to lookup a phone number, there are a few other alternatives that allow you to easily determine who may have called you from a Sprint phone number. To begin, you want to first write down the phone number that called you so you can come back and reference it later. Before you use this method, be sure that the number that called was actually using the Sprint carrier network to make the call. You can make sure of this by reading this article. Once you’ve ensured that it is indeed a Sprint number that called you, you need to then get a hold of any phone that is on the Sprint carrier network. The reason for this is that Sprint has a custom 411 directory that is different than dialing 411 from another carrier. For example, if you dialed 411 from a Verizon phone, you would not get redirected to Sprint’s 411 service, but if you happened to have a phone that was on the Sprint network and dial 411, you will be interacting with the 411 service provided by Sprint themselves. 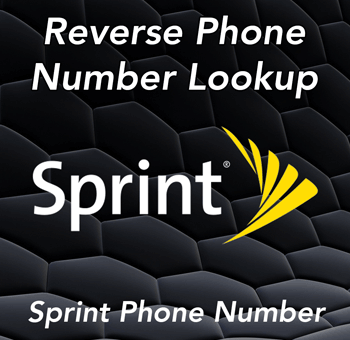 Note: You can also dial this phone number from a Sprint phone: 555-1212, however this only works within the continental United States – if you were to call that number mentioned above from Alaska, Canada, or the Caribbean, you will be directed to a different directory service not operated by Sprint themselves. Once you have dialed 411 from a Sprint phone, you will then be put in touch with either a electronic or human operator. Many users have found that the electronic operator is better at looking up phone numbers rather than a human operator – this may just be the way the software is designed. Tell the operator the phone number of the person you want to know more details of, and if the number is publicly listed and able to be shared, the operator will relay relevant details back to you. You are limited to three pieces of information each call – so choose wisely what you want to know. In addition to free directory assistance, Sprint 411 can also provide movie times, driving directions, and place restaurant reservations on your behalf. Not bad for a 411 service. At the time of writing, there does not seem to be a charge for using this service, as long as you are a current Sprint subscriber. If you need additional or more in depth information about a phone number, it’s best to read another one of our guides under the Methods section of this website – here you will find ways to lookup information about a phone number (for free), and most of the methods don’t are not carrier specific, which means you can lookup a phone number belong to any carrier, not just Sprint.